Among the most rapidly increasing cancers in the US today are those of the oral cavity and the head and neck, especially esophageal cancer. And this is the week to think about whether you, or someone you love, may have a cancer of the upper swallowing and breathing passages or the head and neck–including the sinuses. 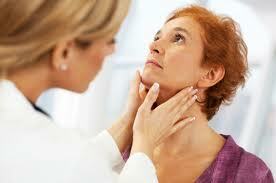 71% of surveyed adults reported they had not had a head and neck examination by their primary care physician. But even I will admit, it is a tough area to examine thoroughly, needing special instruments and fancy x-rays (CT scans) to access all the structures properly. So what can you, the everyday person do? Educate yourself. As an otolayngologist (ear, nose and throat guy), I have the expertise to help you help yourself. So here are a few things that you might think about. Your own medical history and lifestyle can impact whether or not you get these types of cancers. Have you been exposed to or infected with HPV (human papilloma virus)? These are but a few of the contributing factors, however, even if you answered “No!” to any of these questions, you may still be at risk. Unremitting ear pain on one side that lasts longer than a few weeks. Difficulty swallowing or swallowing that hurts for more time than you would expect with a common cold or sore throat–several months. Any growth or ulceration in the mouth or lips. Now don’t panic! Many of these symptoms can occur in patients without cancer. But take a few moments and examine your own neck. Look in your mouth in the mirror. And check your skin and have someone help you in less accessible places. When in doubt consult your doctor and don’t be shy about asking for a referral to an ear, nose and throat doctor!